We are pleased to announce that Attorney Jeffrey Gordon was appointed to the Board of Directors of the Adolph & Rose Levis JCC. Adolph & Rose Levis Jewish Community Center is a non-profit community agency of the Jewish Federation of South Palm Beach County. Levis JCC promotes and enhances Jewish culture, heritage, and values through educational, spiritual, social, wellness and recreational programs. From preschool and summer camp to teen and family activities, from athletics to cultural arts, adult enrichment, and special needs programming as well as one of “Boca’s Best” thrift shops, the Levis JCC offers something for everyone. 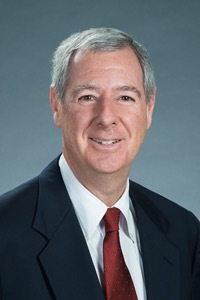 “I wanted to be on the board in order to participate in the decision making and direction of the JCC as it determines how best to address the needs of the community, ” said Boca Raton attorney Jeff Gordon. As a community partner for the Levis JCC Special Needs Program for the past 10 years, we know what an impact they make on the lives of those in our community. We want to congratulate Jeff on his appoint and his commitment to our community. Thanks for all you do Jeff!